Are you satisfied with the amount of sales revenues you bring in to your company? Do you consistently exceed the sales quota set by your company or struggle to meet it? If you are a business owner or a sales manager, are you satisfied with the consistency of sales revenues that your sales team is bringing in? 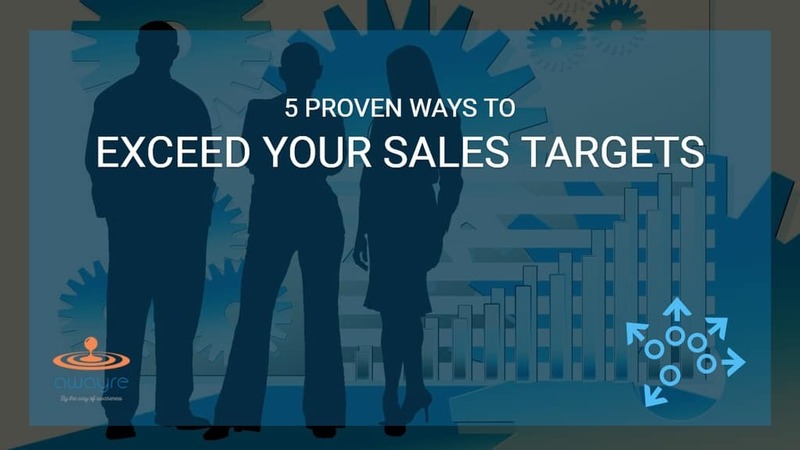 Here, I present 5 reasons why businesses miss their sales targets and 5 corresponding ways to consistently exceed them. "We exceed our sales and revenues expectations every month, month after month." Would you say that it's a true statement for you and your sales team? If you think it's only partially true, how much of it is true? 10%? 80%? 30%? And the most important question: How would you fix this problem, once and for all? You don't have the right prospects in your "sales pipeline." You don’t have enough number of opportunities in your sales pipeline. Your deals are taking too long to close. Too many good opportunities are slipping through your fingers. You are not getting the price for your products or your services that you deserve. There are 5 corresponding ways - or paths - for making sure that you do exceed your sales targets, and exceed them consistently, month after month after month. Let's look at those 5 ways one by one. 1. Only put right prospects in your "sales pipeline" and keep the rest out. Why don't you have the right prospects in your "sales pipeline?" Well, the key component of attracting the right kinds of prospects to our business is your message. This is a “blind spot” that trips even the savviest of businesses. The right message will attract the right kind of prospects. The wrong message will attract the wrong kinds of prospects - who will waste your time, your energy and your efforts. The most fundamental of all the messages is a 10-word slogan or a 10-second commercial. Is your 10-second commercial or a 10-word slogan targeting your ideal prospect? I have written tons of stuff on how to create your business’ core message on this blog. True of False? : "We exceed our sales and revenue expectations every month, month after month." 2. Keep your sales pipeline filled at all times. How would you end up with not enough number of opportunities in your sales pipeline? Well, there are two reasons for this to happen: 1) your message does not grab your audience, and 2) there is a lack of sufficient and consistent activities from you that will enforce and re-enforce your the message to your market. Having a strong message is important. Yet, once you have it, you must reinforce it to your target market often and in different ways. For most businesses, an ideal number of “channels” to send your message across to your target market is somewhere between 5 and 7. What are your channels? How consistently are your using them to reach your audience? Do you track their effectiveness? 3. Shorten the amount of time it takes to close a sale. Volumes have been written on this subject and millions of dollars get spent on fixing this issue by businesses. Since people have a very negative impression of “salespeople” and of “being sold,” they have developed their own defense mechanisms for dealing with salespeople. Perfected over thousands of years of history, their buying defenses - I call them "blocks" - are effective ways to counter most of the Selling Systems taught today, making those selling systems ineffective. Is your selling approach making you seem “salesy?” How can you change it? "The most fundamental of all the messages is a 10-word slogan or a 10-second commercial. What is your 10-second commercial?" Fundamentally, this happens because most Selling Systems approach prospects intellectually, totally forgetting the fact that the prospect is a human being with emotions. Buying decisions are never made intellectually; they are made emotionally and then justified intellectually. If you are not engaging the emotions of your prospects, your relationship with them and your ability to sell to them is a fraction of what it could be. How can you uncover the emotional reasons for prospects to buy your products or services? 5. Set your solutions apart from the competition before and during the sales event. Why would you not get the price for your products or your services that you deserve? Well, the pricing issue comes up at two points in your relationship with your prospect: 1) before they ever set foot in the door, and 2) when you are about close the deal. A good marketing message sets you apart from your competition and creates the perception of “monopoly” in the minds of your prospects. As a result, a good message preconditions your prospects to pay high price for your products or services. A good selling approach makes the price-point and the competition irrelevant by - emotionally - helping them see you as the only solution to their challenges, aspirations, and dreams. What are your strategies for getting paid the amount that you deserve from your prospects? Only put right prospects in your "sales pipeline" and keep the test out. Keep your sales pipeline filled at all times. Shorten the amount of time it takes to close a sale. Improve your "closing ratio" by turning more non-buyers into buyers. Set yourself apart from the competition before and during the sales event.